Song Da 5 JSC is a construction company with over 20 years of experience, specializing in hydropower and water resource projects. For their latest project, the Nam Ngiep 1 Hydropower Station, they made the decision to adopt BIM and Tekla software in order to meet their client’s stringent requirements for highly accurate construction drawings, which help to achieve greater efficiency and materials savings. Nam Ngiep 1 is a 290-megawatt hydropower project, designed to harness the energy potential of the lower part of the Ngiep River, a tributary of the Mekong River that flows through Laos and Thailand along its borders. The project is being built and operated by the Nam Ngiep 1 Power Company. The project comprises two dams and power stations, with the first dam measuring 167-meter-high and 530-meter-long, which will provide a water storage reservoir covering a 67-km2 area that extends into the Xaysomboun province. The main power station, which is constructed by Song Da 5 JSC, is the key component of the project. 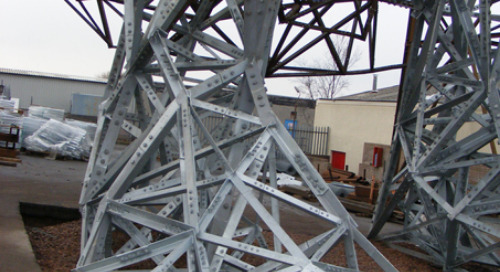 It is a reinforced concrete building, with two turbines that will generate most of the power capacity of the project. The power generated here will be exported to Thailand. For its past projects, Song Da 5 JSC typically prepared 2D construction drawings for the implementation and management of all construction activities in its projects. 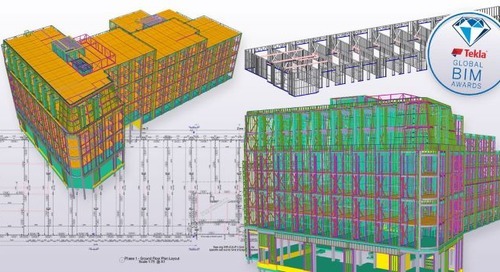 Driven by tight progress timelines, the Nam Ngiep 1 team made the decision to adopt the BIM process, which included the use of Trimble’s software such as Tekla Structures and SketchUp. material lists for reinforcement, concrete, and other quantities - all of which can be generated directly from the constructible Tekla model. The first stage was to create a concrete model before adding rebar from the foundation to the top. After completing the detailed model, the next stage was to create general arrangement and detail drawings. During this process, the model helped to detect clashes and potential problems, and fixed the errors in time for the process models. From the constructible model, reinforcement quantities could be extracted easily and accurately to an Excel file, which is the standard format the general contractor is using. Additionally, Tekla Structures' collaborative features allowing multiple users to simultaneously work on the same model have significantly improved coordination between the team members. Engineers were able to easily create, update and access all of the essential information contained in the models, such as accurate information for materials, quantities and construction progress. “By using Tekla, we are able to provide 3D models with a high LOD (Level of development) and accuracy, pre-empting errors or defects from occurring later during the construction phase,” said Mr. Bui Chi Giang, Technical Manager of Song Da 5 JSC. All concrete and rebar detailing was done in-house at Song Da 5 JSC’s headquarters in Hanoi, Vietnam. But during the construction phase, with site conditions and owner requirements changing frequently, detailing engineers were required to be present at the site office to update the information accordingly. As a whole, the team took immense pride in applying Tekla software on this complex hydropower plant and reaping the benefits from its use. As this was the first time Song Da 5 JSC was adopting BIM, there was a sharp learning curve. despite this initial challenge, and with the support of HSD Vietnam, the Tekla reseller, the benefits soon began to be realized. 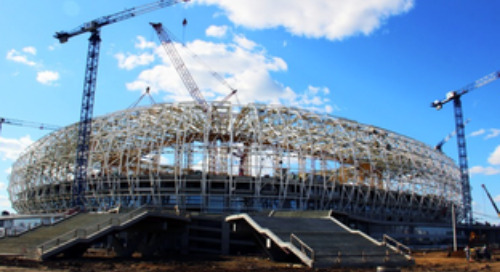 Tekla software allowed the team to easily find and fix any clashes that could make the rebar placement work on site difficult or even impossible. 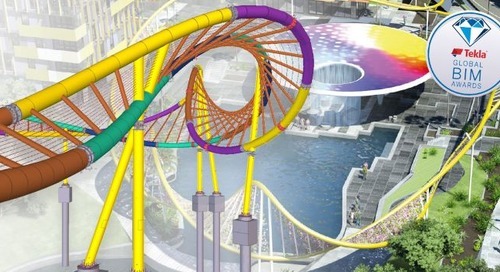 “The Tekla models also enable quantity tables, material lists and bending schedules to be created fast and accurately. Site engineers also find it much easier to understand the 3D models as compared with conventional 2D drawings,” explained Mr. Bui Chi Giang. Overall efficiency was greatly improved, particularly in the area of creating rebar bending schedules, which saw time savings of about 50%. The accuracy of rebar bending tables and working drawings also improved, to the point of reducing errors from around 10% to nearly 0%. 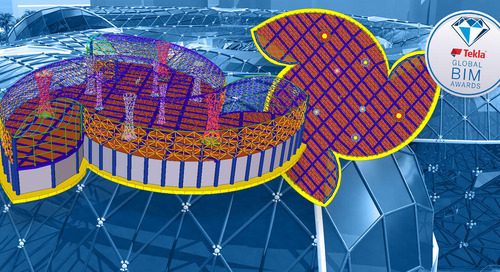 Tekla software’s ability to process large and complex models or complicated connection links, and to find interferences in the model, pre-empted any errors or defects before construction which greatly benefitted Song Da 5 JSC. Materials savings of between 0.5% and 3% were also realized as a result of the increased accuracy. Collaboration improved because multiple users could access and manipulate the models, and all required information; drawings, list of materials, construction schedules and material procurement were readily accessed by all team members at any time. 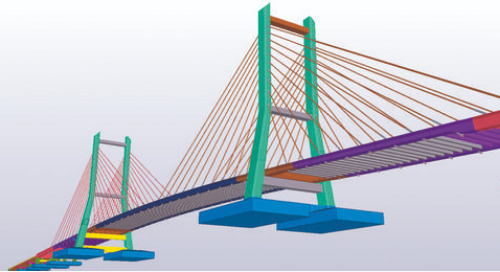 Even site engineers used the Tekla model to view the placement of the rebars. 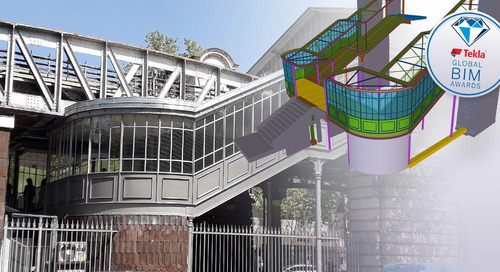 Since the general contractor was not using BIM, 2D drawings requiring approvals were printed from Tekla to meet their requirements. 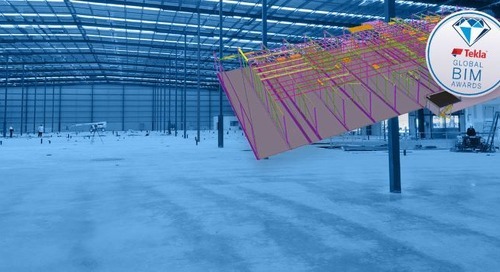 As a whole, the Nam Ngiep 1 Power Station project enabled Song Da 5 to recognise the immense benefits that using BIM and constructible concrete models can offer. Song Da 5 Joint Stock Company was first established in March 1990 under the name Vinh Son Hydroelectric Construction Company. Twenty years of growth has seen the company continuously innovate and develop its capabilities in all aspects, in particular the area of applying advanced technology into project management and construction execution. With a main focus on constructing hydropower and water resource projects, Song Da 5 JSC has today established strong ties and cooperation with other domestic and international organisations. The company’s present hydropower projects include Son La, Lai Chau, Nam Chien, Hua Na, Song Chay, Song Bung 4, and Nam Ngiep 1 (in Laos). It also recently completed construction on a prestigious project – the national Assembly House – a key legislative landmark that also serves to symbolise the huge progress made by Vietnam in terms of construction, internationalisation and development.